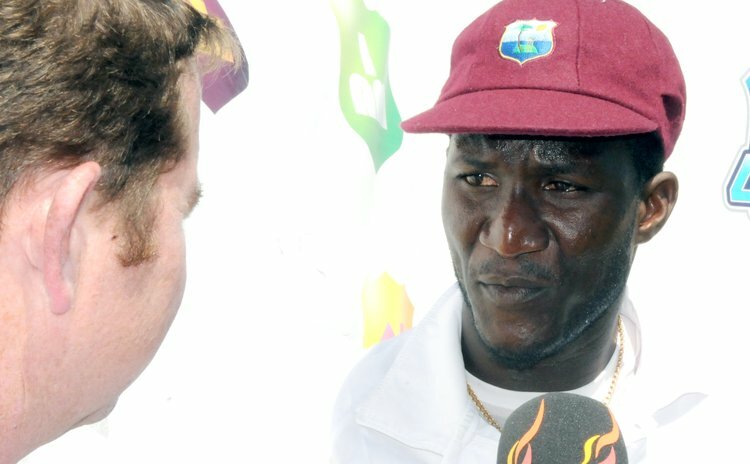 MUMBAI, India – West Indies captain Darren Sammy said his side was much better than they proved in the two-Test series against India which concluded on Saturday here. A workmanlike half-century from Denesh Ramdin failed to inspire the Windies and the Indians gifted batting icon Sachin Tendulkar an innings and 126-run victory in the second Test to mark his retirement from the international scene. Ramdin made 53, as the visitors were bowled out for 187 in their second innings about 15 minutes past the scheduled lunch interval on the third day before a Wankhede Stadium packed with fans of Tendulkar that came to wish him farewell. The result meant West Indies were swept in the hastily-arranged, two-match series, following an innings and 51-run defeat in the first Test which ended two Fridays ago at Eden Gardens in the eastern Indian city of Kolkata. "It's very disappointing," Sammy told reporters following the match. "We never turned up in the series. We left the Caribbean at the back of six Test victories, against Bangladesh, New Zealand and Zimbabwe. Coming here really taught us a lesson, exposed us, taught us how far we are behind the top four teams in the World. We've just not turned up." He added: "I was speaking to a good friend of mine and he summed it up very well. He said we knew you were coming here to a celebration and we brought a lot of gifts. That's what we did. Rohit making his debut Test series, gifts – two hundreds, Mohammed Shami making his debut, gifts – 11 wickets. We just didn't turn up. "And I personally have been very disappointed, not just for me, but for the team as well. It's a good lesson for us. As we head down to New Zealand, where we play our next Test series, we've got to bounce back and come back strongly." Sammy said the short notice with which his side had about the series had nothing to do with their performance. "We were quite happy coming here because we hardly play Test and so getting two more Tests this year to play against good opposition was a wonderful opportunity for us as a cricket team to measure up to see how much we have improved," he said. "We won six Test matches against teams we were ranked higher than, so now we played against team that are ranked higher than us, it was an opportunity to showcase what we have. What we displayed over the last two Test matches, or over six days, we're much better than that. If you look at the way we played, every time we've been under pressure, we've not responded well. He continued: "I guess, maybe, it's a mental thing. Me, as captain, I have not led from the front at all in this series and we deserve all the criticism and the comments that have been thrown at us, and it is only left to us to pick ourselves up.